It’s Tuesday, Florida State fans. As your day and week wind down, keep it here for the latest in FSU athletics. The news and notes section of this post will be updated throughout the day. 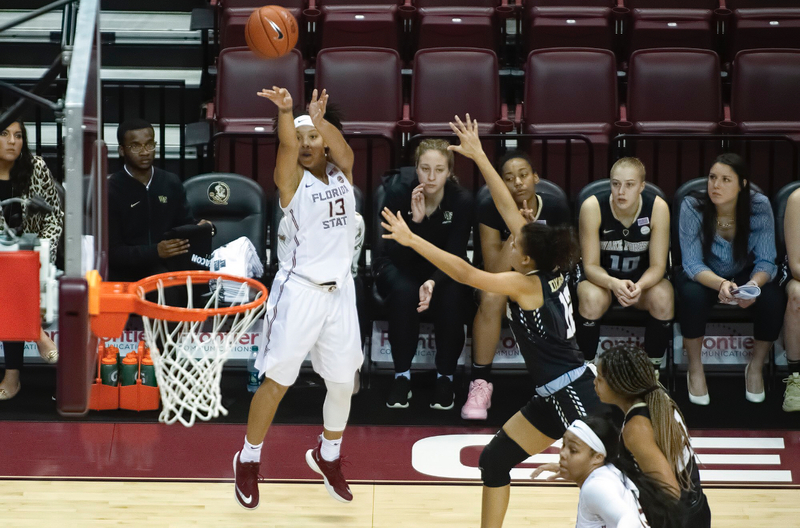 Despite a 2-0 week and a 19-3 record, Florida State women’s hoops made no movement in this week’s AP Poll. The Seminoles remained put at No. 24 in the poll. FSU is coming off home wins over Miami and Wake Forest. Among Power 5 programs, no team with four losses or fewer is ranked below Florida State. FSU will host No. 9 NC State on Thursday. FSU men’s golf began the Sea Best Invitational on Monday while the women resumed the Northrop Grumman Regional Challenge. Both FSU golf teams will continue their respective tournaments on Tuesday. FSU basketball visits Syracuse at 8 p.m. EST on Raycom Sports Network. FSU target and quarterback John Rhys Plumlee committed to Ole Miss on Monday night. FSU hoops defeated Syracuse on Tuesday night at the Carrier Dome, 80-62.